FARMING and agriculture are among the most dangerous fields of work in Australia. But while the wine industry is part of this ‘risky business’, fatalities have remained low with just three deaths reported in 10 years to 2012. That’s according to independent statutory agency Safe Work Australia which is responsible for improving occupational health and safety and workers’ compensation arrangements across the nation. While the number of deaths in the wine industry are minor when compared to other industries, there were more than 3000 serious claims accepted for compensation between 2000 and 2012. Safe Work Australia says the number of claims decreased from a high of 350 in 2005-06 due to greater awareness of health and safety in the workplace. “Businesses have a legal obligation to health and safety in the workplace to minimise the risk to their workers,” the company tells Grapegrower & Winemaker. “This includes reducing hazards from plants, machinery, chemicals and manual tasks. An employer has the primary duty of care under the Work Health and Safety Act (WHS). This duty requires the employer to ensure workers are not exposed to health and safety risks arising from the business. “They must do this by eliminating risks to health or safety or, if this is not practicable, minimising risks as much as possible,” Safe Work Australia says. • The health of workers and the conditions of the workplace are monitored to prevent injury or illness. The WHS laws have been adopted in all jurisdictions except WA and Victoria, though the current laws in these states include similar requirements. These guidelines apply to crushers or de-stemmer augers, must pumps, bottling equipment and any other plant or chemical used in the workplace. Some of the most common hazards faced by workers in vineyards and wineries include operating equipment on hillsides and uneven terrain, pushing and lifting heavy bins, barrels, pumps, hoses or mixers, using pruning shears and picking knives, working with hazardous chemicals and entering confined spaces. A worker or employer can prevent most workplace injuries and illnesses if they identify workplace hazards and take steps to control them. Most Australian wineries and vineyards have standard operating procedures and policies in place to prevent health and safety hazards. 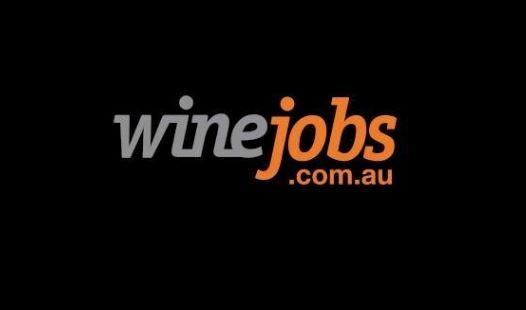 McLaren Vale’s d’Arenberg says the company is committed to providing a safe system of work for its employees and contractors. As well as having a range of processes in place, a number of employees across all departments have attended training sessions to attain their WH&S Certificate III. The company continues to host regular internal and external training courses for its employees to ensure they are kept up-to-date with work health and safety practices. One of the bigger players in the market, Treasury Wine Estates (TWE), also takes work health and safety seriously. Corporate affairs manager Sue Rana says traffic, in particular, is a hazard which is often overlooked. “We have a wide variety of vehicles operating in all parts of our business – tractors, harvesters, trucks, forklifts and cars driven by sales representatives as they visit customers,” she says. Within TWE’s wine production business, all vineyard and winery sites have traffic management plans (TMP) in place. These plans define how drivers operate vehicles on site and how pedestrians are required to behave when around those vehicles. “The TMP sets the pathway for vehicles to traverse the site including loading areas for forklifts, pedestrian exclusion zones and crossings and driver safety zones,” Rana says. Rana says it is vital to have a traffic standard that everyone on site is aware of and complies with to ensure a safe and productive operation. “Having all stakeholders involved in the development of these plans increases understanding of our overall traffic safety requirements and commitment to compliance,” she says. Safe Work Australia says workers should report accidents and other incidents (including things such as near misses) to their supervisor and report a hazard that may endanger others in the future, a problem with equipment, a violation of the regulations or other legal requirements. Australian government – both the commonwealth and the states and territories – also retain the responsibility for regulating and enforcing all the work health and safety laws operating in their jurisdiction. The contact details for each state and territory regulators can be found at the link: www.safeworkaustralia.gov.au/sites/swa/about/who-we-work-with/pages/who-we-work-with.